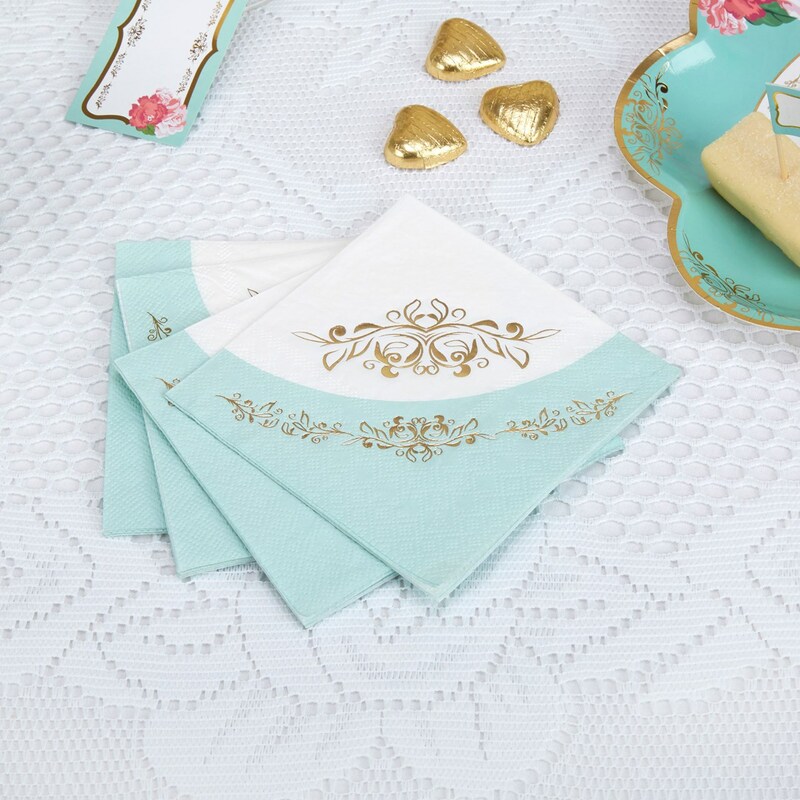 A must-have for your tea table, these elegant napkins coordinate with the pretty tableware in our Eternal Rose collection. Taking inspiration from classic china tea sets, the range offers beautiful accessories to create a vintage-style tea party. Made from 3-ply paper, the napkins feature a delicate design in turquoise, white and gold to complement the other pieces in the range. Each pack contains 16 Paper Napkins.